at Green St. & Ridge Ave.
Carpatho-Rusyns settled in Allentown, Lehigh County, in the late 1890s, but were not present in large numbers until around 1905. 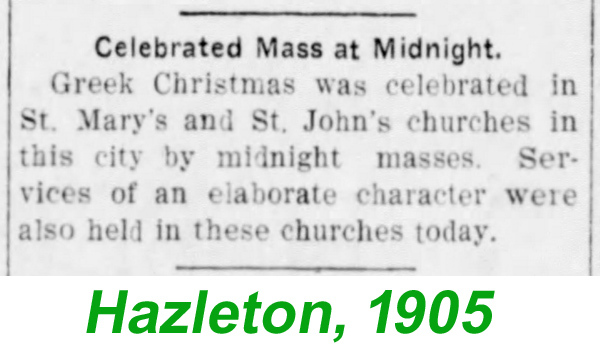 Two Greek Catholic parishes were founded in the Sixth Ward, in 1907-08 (St. Michael the Archangel), at Green Street and Ridge Avenue, and a Galician offshoot founded by Lemkos and Ukrainians in 1909-10 (St. Mary's Immaculate Conception) on Front & Furnace Streets, shortly thereafter building a church on Fullerton Avenue. This was a neighborhood largely made up of Central European immigrants, not just Carpatho-Rusyns and Galician Ukrainians, but also Slovaks, Poles, and Hungarians. 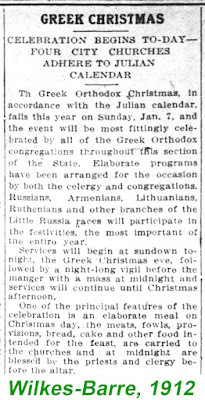 In the years to follow, Carpatho-Rusyns would also be involved in founding a short-lived Russian Orthodox parish (also named for St. Michael), and later an independent Greek Catholic parish (St. John the Baptist, on N. 2nd Street). 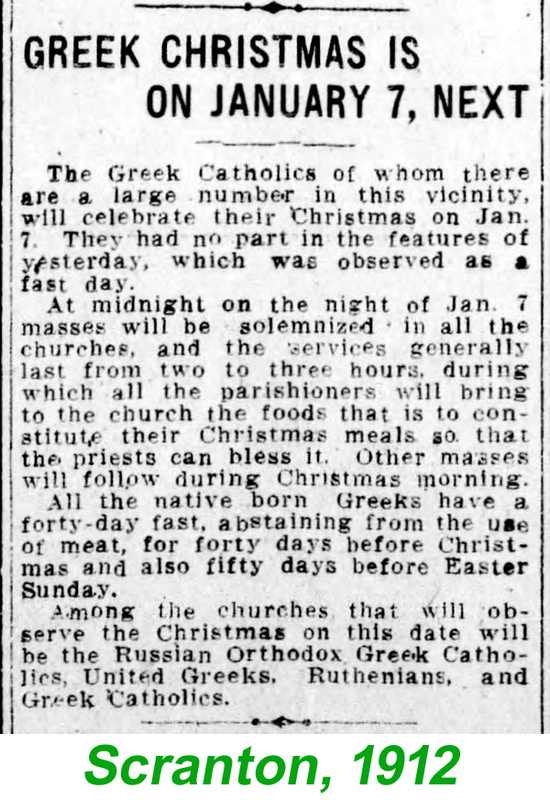 That church eventually left the American Carpatho-Russian Orthodox Diocese and joined the Byzantine Catholic Eparchy of Passaic as St. Andrew Byzantine Catholic Church (the story behind this is an unfortunate one, the details of which I'll leave for my book); a portion of its members founded Protection of the Blessed Virgin Mary Orthodox Greek Catholic Church which established itself in a former synagogue at the prominent corner of North 6th and Tilghman Streets. 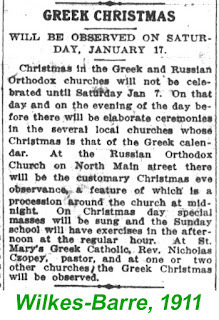 Meanwhile, St. Mary's Immaculate Conception (Galician) Greek Catholic Church would lead a movement to establish a Ukrainian Orthodox Church in the U.S. in the 1920s, and today the parish is known as St. Mary's, Protection of the Holy Theotokos Ukrainian Orthodox Church. 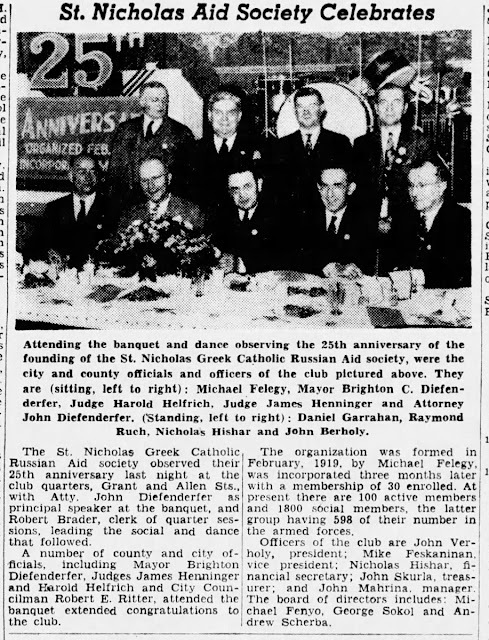 For example, this article provides a few details of its founding. Many Carpatho-Rusyn villages in the European homeland have historical monographs covering the origins, life, and culture of the village and its people. Many of them are extremely well done, and some of them include what from my perspective is essential to telling the whole story – the life of the village natives in emigration. I've been able to make a significant contribution to that in the monograph on one village dear to my heart. And now I can say I've played a small part in helping with another. 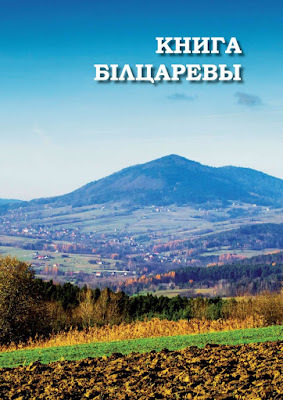 Petro Trochanovskij's recently-published Book of Bilcareva (Книга Білцаревы), about Bilcareva/Binczarowa, old Grybów County in the Lemko Region of Austrian Galicia, present-day Poland, is hands-down the best Carpatho-Rusyn village history that has ever been published. The contents – almost entirely in Lemko Rusyn – are extremely detailed and comprehensive, and the book is beautiful to look at and compelling to read. Village history: topographical maps with the native names of hills and sections; the earliest metrical records; a list of residents in the 1770s-1780s; and much more. Life of the village (before WWII) in images: people, life and death, the church, chapels/wayside crosses, etc. Life of Bilcareva natives in emigration, especially the United States. 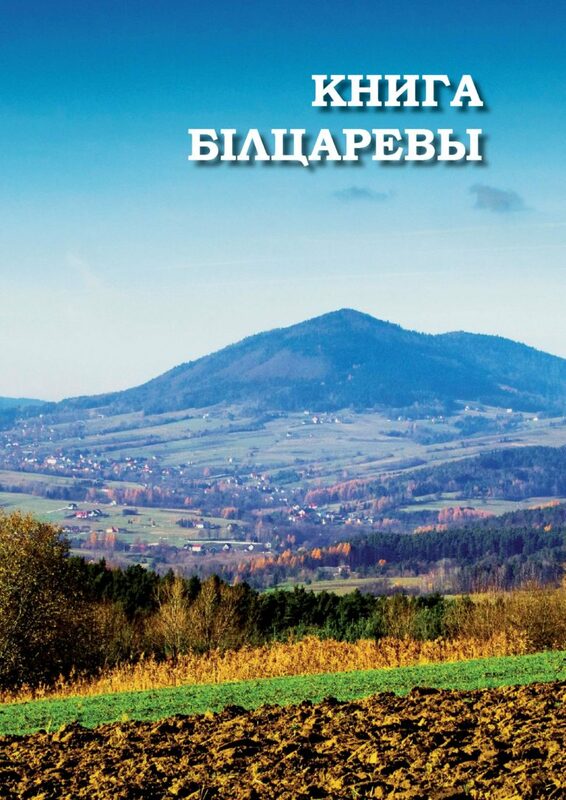 Life of Bilcareva villagers in exile in Poland, return visits to Bilcareva, creation of a memorial cross, and the compilation of the book. Culture of Bilcareva and the life and works of notable Bilcareva natives throughout history and their artistry – music, poetry, woodcuts, woodwork, etc. This book stands out from most village histories in the amount of attention given to the village natives' "diaspora" experience. As with the book about my Rusyn grandmother's native village, I played a part in this one. Every Labor Day weekend since 1988, one could find me among the pilgrims at the pilgrimage to the Shrine of Our Lady of Perpetual Help at Mount Saint Macrina in Uniontown, Fayette County. This year was not really any different. Except that I usually tack on a few extra days for fieldwork in that area of the state, whereas this year I only did fieldwork on Friday and Monday. Still, some of that activity is worth sharing here. 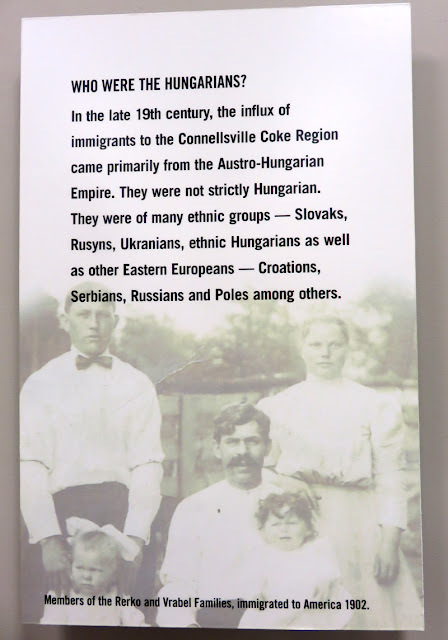 I arrived in the area mid-afternoon on Friday in order to make my long-awaited first visit to the Coal & Coke Heritage Center at the Penn State University Fayette Campus near Uniontown (and Leisenring, a pivotal place in the history of Carpatho-Rusyn immigrants in that region). Greeted by the archivist, Amanda Peters, I had about 90 minutes to peruse the attractive and informative museum as well as some of the center's archives and library. 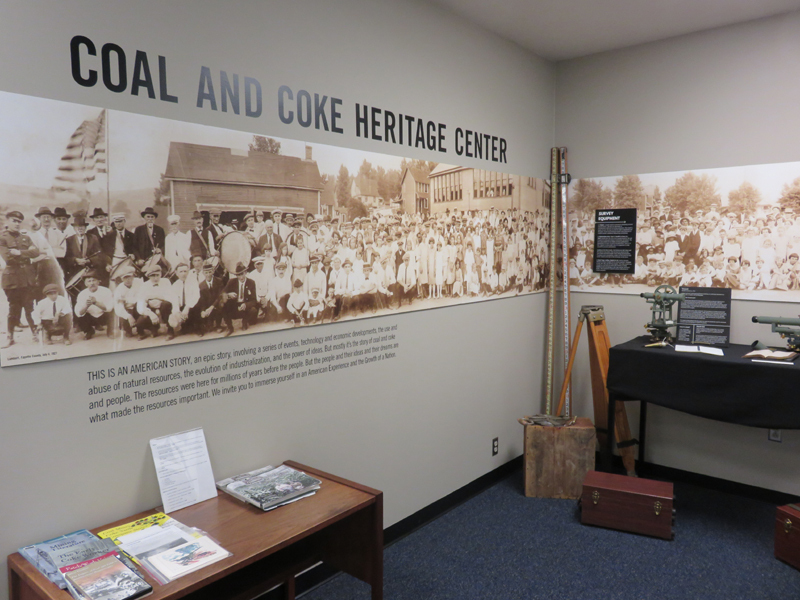 The place of immigrants in the local communities that supplied the workforce for coal & coke was appropriately highlighted. And fortunately Carpatho-Rusyns are acknowledged, as they were one of the primary ethnic groups in the region. Memorial Day weekend and the days following will usually find me doing research around northeastern Pennsylvania. I combine it with spending Memorial Day at the long-running pilgrimage at St. Tikhon's Monastery in South Canaan. This year was no different. 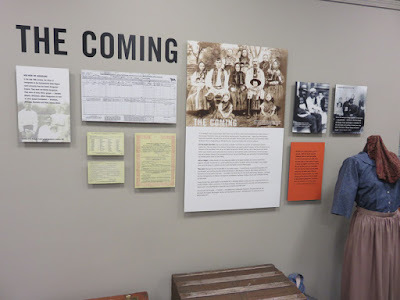 My trip started in central Pa., with visits to the Broad Top Area Coal Miners Museum in Robertsdale, Huntingdon County, and Madera, Clearfield County and Philipsburg, Centre County. The Robertsdale museum had a few items of interest related to the mining industry and immigrant communities in Woodvale (now called Wood) and Robertsdale, where many Carpatho-Rusyns settled in the early 20th century. 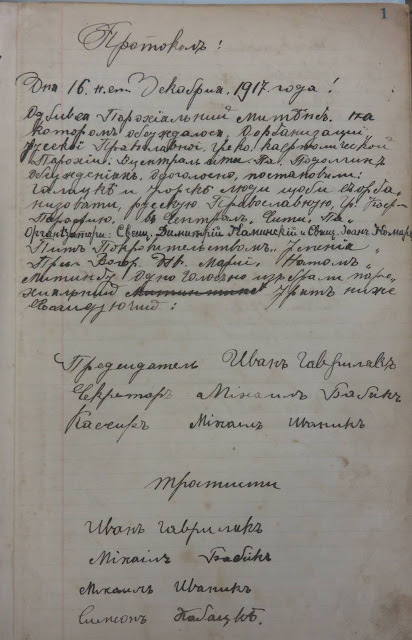 Working full-time, my study and writing about Carpatho-Rusyn immigration has been limited to being a hobby, albeit one that I have spent much time on in these many years. Only a few times a year do I have the opportunity to devote a few days full time to fieldwork. Fortunately, I can see that only a few more of these research trips will be necessary before I can be satisfied that the information I've gathered is thorough enough (if never quite "complete"). These occasional research trips take many days to plan and do not always go accordingly. My first such trip of 2018 took place in April, and I'm glad to share the highlights — and glimpses of what I collected — with you. In case you didn't know, I have started posting about my project on Facebook at this page: The Carpatho-Rusyns of Pennsylvania. I already posted about this research trip there; this is an adapted consolidated version of several Facebook posts. 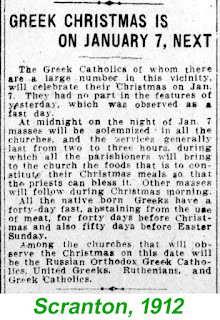 St. Mary's Holy Assumption Russian Orthodox Greek Catholic Church, Central City, Somerset County: First parish meeting minutes, 1917. 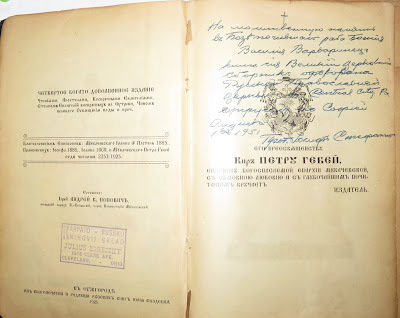 St. Mary's Church, Central City: "Izbornik" book of divine services used by cantors, published in Užhorod, 1925. I'm honored to announce that I will be this year's speaker for the 8th Annual St Alexis (Toth) Lecture in Minneapolis, Minnesota. The lecture, "The Becherov Factor: How One Village’s Natives Led the Carpatho-Rusyn American Return to Orthodoxy," will explore the integral presence of natives of Becherov (in Rusyn: Becheriv), in present-day northeastern Slovakia, throughout the history and life of St. Mary's Cathedral in Minneapolis, and in the return to Orthodoxy in other places like Catasauqua, Sheppton, St. Clair, McKeesport, and Pittsburgh, Pennsylvania. 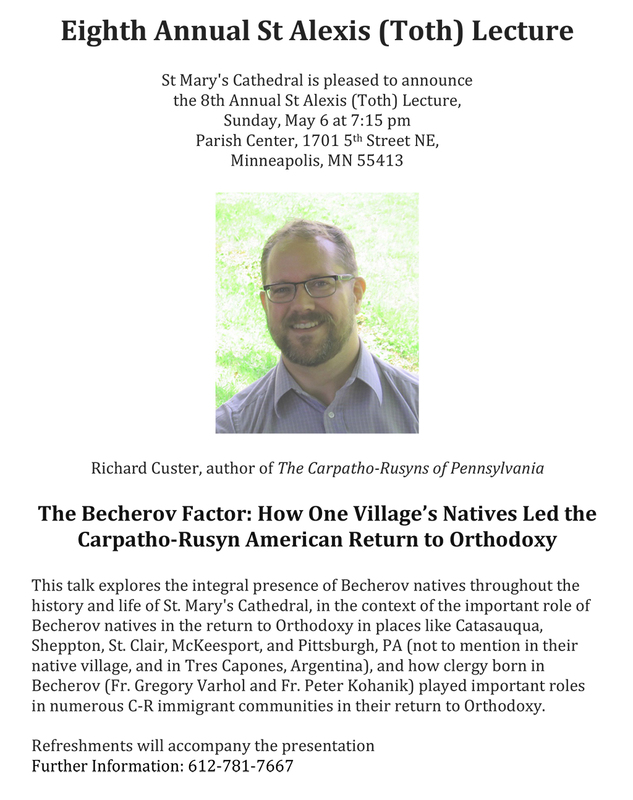 It will also look at the influence of two Orthodox priests born in Becherov, Fr. Gregory Varhol and Fr. Peter Kohanik, in numerous Carpatho-Rusyn immigrant communities in their return to Orthodoxy. 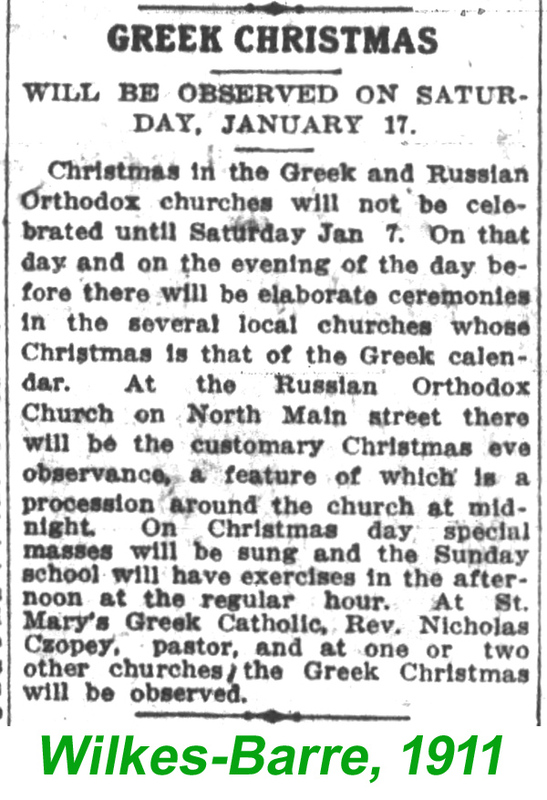 The event is sponsored by St Mary's Orthodox Cathedral. It will take place on Sunday, May 6, 2018, at 7:15 p.m. at St. Mary's Parish Center, 1701 5th Street NE, Minneapolis, Minnesota. All are welcome to attend. 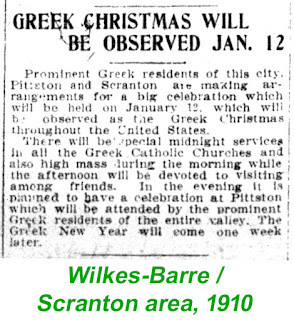 We're not Russian or Greek, but on Christmas we could be both! I'm still enthralled by the things I'm finding on Newspapers.com. Some of the articles really give a feel for the life of our communities in decades gone by. 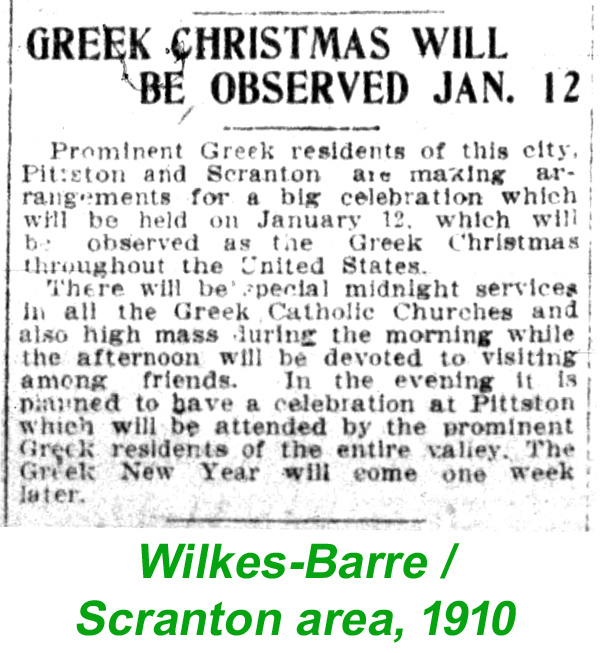 Whether in cities or towns large or small, a keystone of our people's identity at least until the 1950s, and one that united them in some sense regardless of how their community may have splintered, seemed to be "the people who celebrated 'Greek Christmas' (or 'Russian Christmas')"—according to the Julian Calendar in use at the time by most churches of Carpatho-Rusyn origin, whether Greek Catholic, Orthodox, Ukrainian, Russian, Carpatho-Russian, Ruthenian, or Rusin—as the January 7 Christmas observance was typically called. Check out some of the news coverage of the time. When did the term start to be used? Here are some of the earliest articles I found.